Gwyneth Paltrow just snagged former Martha Stewart CEO Lisa Gersh to helm Goop and it looks like a change of leadership isn’t going to be the only thing different about the site. Goop has been pretty successful, thanks in large part to the luxe apparel, beauty and homewares peddled from the destination’s “shop” channel. You can take your pick of designer exclusives crafted for the site. Cynthia Rowley, Diane von Furstenberg, Matthew Williamson, Stella McCartney and more have all partnered with Goop to create capsule collections, but it looks like Gwyneth is ready to let Goop spread its wings and put out creations of its own. Gersh revealed that one of the major projects she’ll be taking on as new CEO is launching a Goop clothing line. According to Reuters, the offerings will start out as mostly basics, before branching out into home and beauty. Goop offered a line of wardrobe staples with its Stella McCartney range, for which prices started at $795. If that’s any indication, you know Goop-branded duds are going to cost a pretty penny. Still, they will sell. Love her or hate her, Gwyneth’s got something good with Goop and the clothing selection on the site is admittedly pretty darn good. Plus, it simply makes sense for the brand. Goop is six years old and has established itself as a lifestyle force to be reckoned with. Of course, it helps that its founder is a tabloid magnet who is such a perfect ambassador for the Goop lifestyle, she fails to see the impracticality of promoting a $300 a day diet for your family. To start selling its own products seems to be a natural progression for the site. 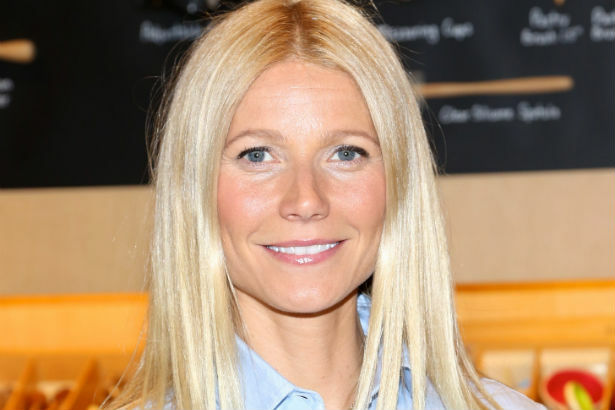 We will be patiently waiting for our first look at what Gwyneth and the gang will be offering when the time comes!